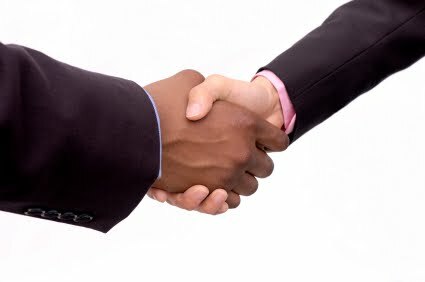 The relationship starts stronger than the work as the client and supplier give one another the benefit of doubt. As each side proves itself to the other, perceptions of the quality of work and relationship improve. Then something happens and for whatever reason perceptions of the work and the relationship start to drop off, with each influencing the other on the way down. The fact that these two dimensions are so tightly correlated should not come as a surprise. Everybody has experienced a bad working relationship where interaction with a client, supplier or colleague becomes difficult precisely because you have come to perceive the relationship as being a bad one. It may be that your colleague was free riding or your client behaved inappropriately or it may be that a supplier did something to lose your trust. In the end the result is the same: neither party wants to work with one another, work suffers and a downward spiral results. If left to persist, it becomes harder and harder to repair relations. Recent work on the relationship between happiness and productivity confirms these experiences. The Harvard Psychologist Daniel Gilbert has written on the statistical relationship between happiness and productivity and found that workers who enjoy themselves are more effective. * Poor working relationships sap our energy, our time and our enjoyment and lead to poorer quality work. Our solution to the problem was to distinguish between the client relationship and the output of that relationship. We identified the tasks that needed to be completed and advised they resolve to complete them efficiently. While relations continued to be strained, they were able to increase their productivity by ignoring behaviour that they had previously found irksome. 2. Do the potential gains (commercial, reputational, etc.) from salvaging the relationship outweigh the costs associated with investing in its repair? 6. Come to an agreement on common goals and acceptable modes of behaviour. Honest, effective communication is the only way to effectively rebalance a relationship in the long term. The influential American physicist David Bohm liked to distinguish between discussion – one-sided, loud and percussive – and dialogue – a conversation borne of mutual understanding. Some relationships are worth saving and being prepared to engage with candour, humility and empathy is the best place to start. be grateful for the amazing weblog post. It was extremely helpful for me. Keep discussing such ideas later on as well. Gratitude for discussing the such details with us." There are a few concealed expenses in a payday advance! Keep in mind, on the off chance that you can't pay this loan and you happen to lose your activity, the clock does not stop. Choose from our wide selection of Office Supplies and get fast & free shipping on select orders. ... What Bulk Ordering Options Are Available for Office Supplies?